If the Dev|Pro course launcher isn’t able to connect to our server (typically a firewall issue), the launcher will move into offline mode. In offiline mode, it is possible to update the course material using the following steps. Step 1. On a machine with an internet connection, navigate to the downloads. Step 2. 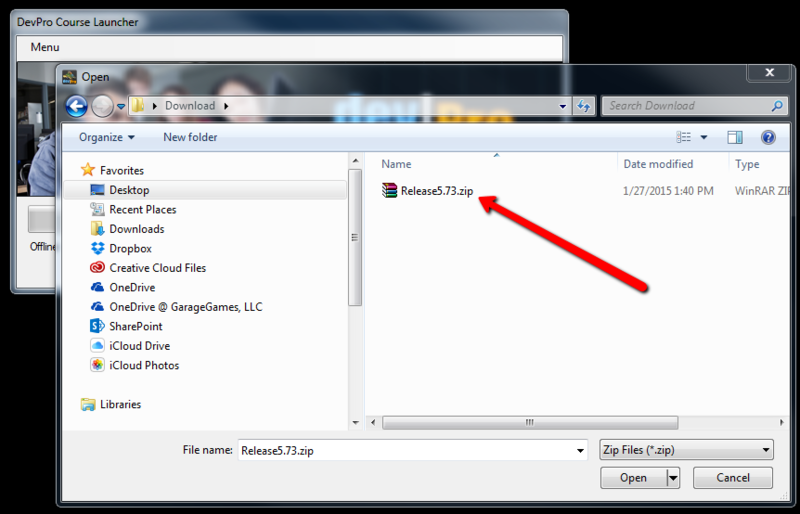 Download the offline updater file. Step 3. Launch the Course Launcher. Select “Update From File”. 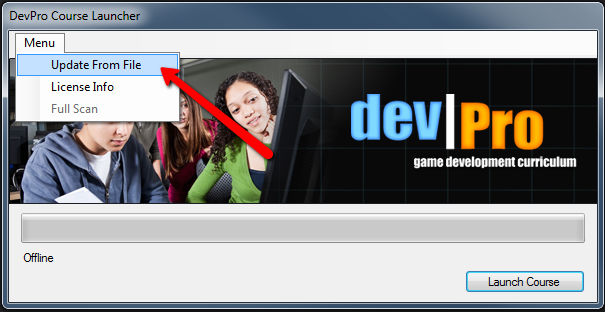 If it is not available, then your Course Launcher is not in offline mode. Step 4. 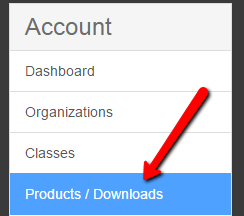 Navigate to the zip file that you downloaded (i.e. a thumb drive or CD).